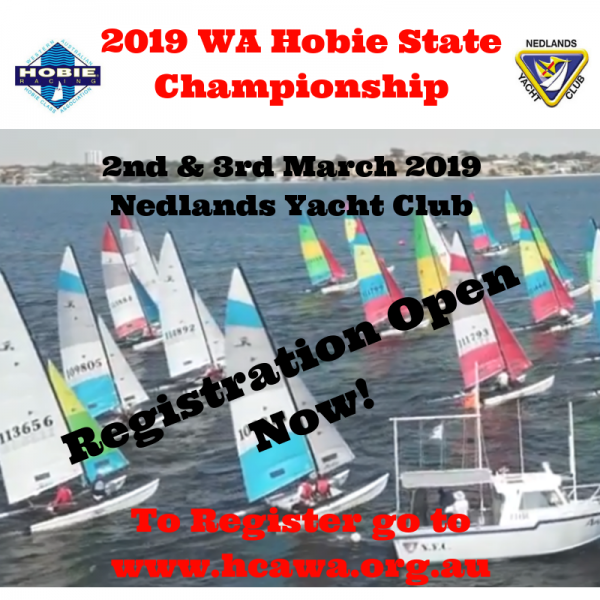 We are here to promote Hobie Sailing and the “Hobie Way Of Life” across Western Australia. If you would like to get into Hobie Sailing (social or racing) please contact us. Go to www.hobieworlds.com for more info. 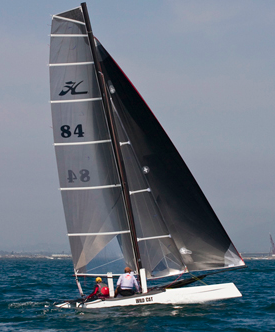 Hobie Cats were born in a surfboard shop in Southern California in 1969 and are named after the designer, Hobie Alter. 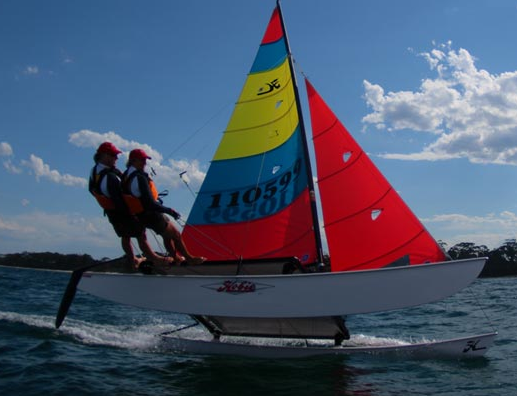 Numerous Hobie catamarans have been designed over the years with the most popular racing boats ranging from 14 feet to 20 feet. The boats are easy to sail and virtually indestructible. 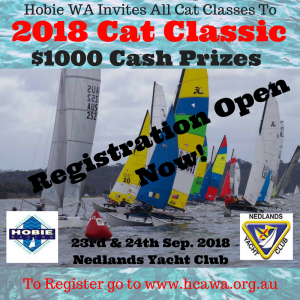 The Hobie 16 is the most popular catamaran in the world and Western Australia has one of the largest and most competitive fleets, being 25 regular boats in Nedlands and 7 in Geraldton. 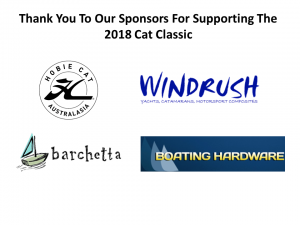 It is a great starter catamaran as used boats are cheap, available and relatively competitive where club members are always willing to assist new sailors. Click contact us to find out more!! 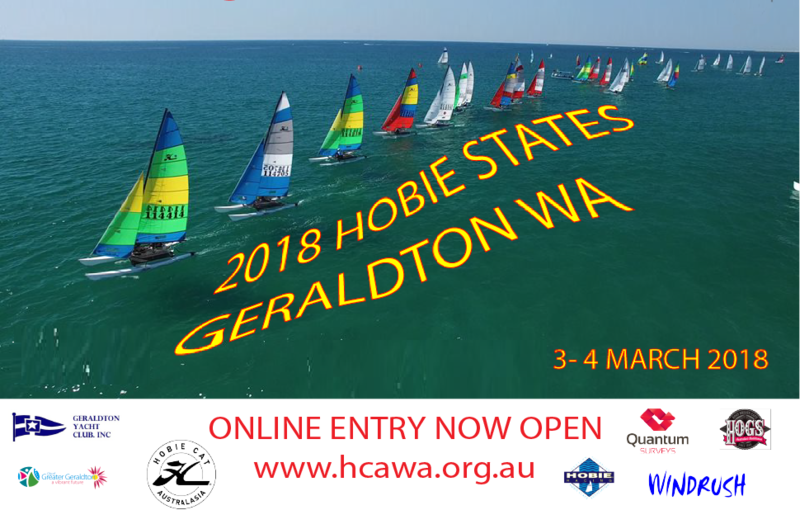 Hobie Cats Western Australia is with Trevor Hughes. Last day of racing for the summer season at Nedlands Yacht Club today. A fantastic battle for the Club Championship, presentation evening of 4 May. We wait to see if Darren will continue his 15 year reign. Awesome to have team Gero our racing with us too! Slalom reaching Westerly course, where were you Lance Wood? How funny Team Gero! Welcome to B Fleet at Nedlands Yacht Club you Champions! ……and our ANHCA President. Great to have you race with us today. Getting ready for the Hobie 16 Worlds in Florida! Footage of the Nedlands Yacht Club Hobie 16 fleet racing last weekend. Thank you John Chapman (SailsOnSwan) for the excellent images. 192 entries so far for the 22nd Hobie 16 World Championships at Captiva Island, Florida. Click the link to see who’s in. That’s 384 Hobie 16 athletes, all shapes, sizes and ages. 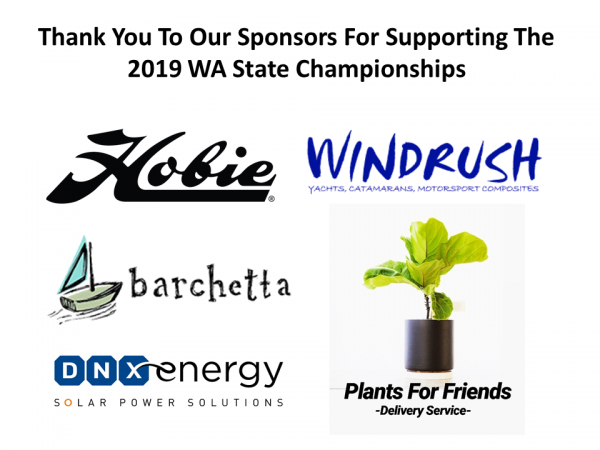 Plenty of Australians in the mix and some of our top teams from WA. But the best part is the sailing fun and catching up with worldwide friends, looking forward to November 2019. A great way to start your week, here’s an aerial video by John Chapman. 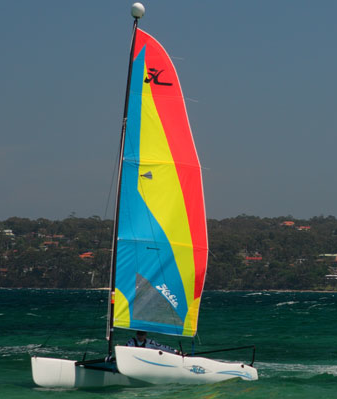 It captures some of the Hobie 16 A Fleet racing at Nedlands Yacht Club yesterday. He has lots of great images on Instagram too (SailsOnSwan) Thank you John!